With Father’s Day (Sunday 18th June) on the horizon and dining alfresco at last a very real option, we are delighted to share with you this fantastic roasting recipe from Union Street Cafe’s Davide Degiovanni. 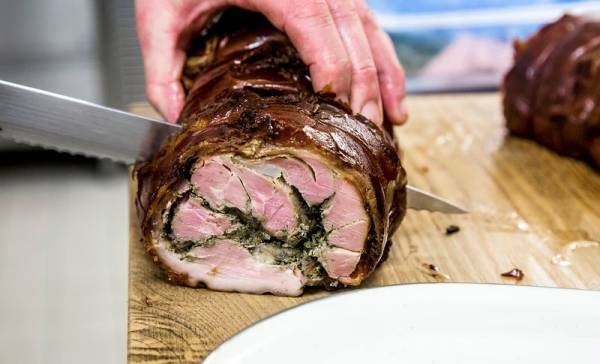 First David reveals some of the secrets of a good porchetta, Italy’s favourite way to cook pork. Or invite all the family over for Father’s Day to help polish it off?! Debone the pig, removing its leg bones, shoulder bones, rib cage and spine, then trim off any excess fat. Wipe the meat clean as necessary. Meanwhile, boil the wine rapidly in a small saucepan so that the volume of liquid reduces to 30ml or 2 tablespoons. Remove from the heat and cool. Finely chop the fennel flowers, the needles of the rosemary, and the garlic cloves. Add salt, pepper and finely grated nutmeg to taste. Carefully stir the reduced wine into the herb mixture. Fill the cavity of the pork with the herb mixture, then sew it up securely using a trussing needle. Rub the pig all over with olive oil, and season again. Thread it with an oven spit if you have one, alternatively use a large roasting try. Preheat the oven to 130C. Roast the porchetta for about 4 hours, turning the heat up to 210C for the last 10 minutes. Remove from the oven and leave to rest. Sit the pork on a cutting board, carefully release it from the spit (if using) and serve at your leisure, either hot, warm or cold. Porchetta is traditionally thinly sliced. If you are a using a boined loin of pork with the belly still attached, butterfly the loin, and score the skin at regular intervals. Roll the meat into a cylinder once you have spread it with the herb mixture, and tie the length with kitchen string every few centimetres to help it stay together. 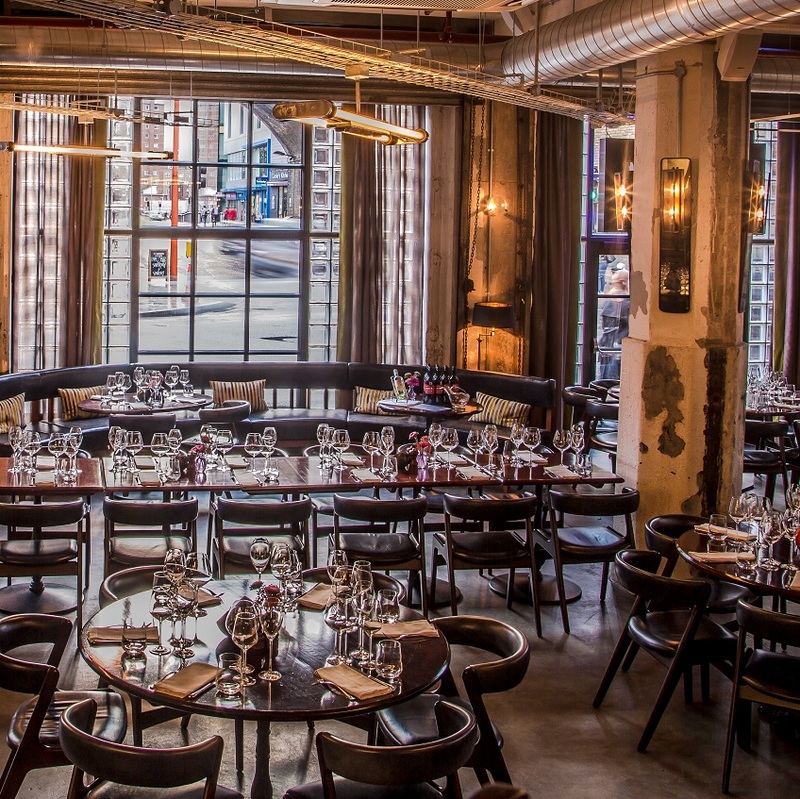 Gordon Ramsay’s Union Street Cafe is a lively urban restaurant offering quality Mediterranean Italian artisan food inspired by the laid back glamour casual luxe of Italy. MEMBER CLUB OFFER| Members and their guests receive a complimentary glass of fizz when dining from the a la carte menu in a maximum party of six guests when having lunch or dinner all week – offer valid until 30th June. Click here for more details.